Nairobi, Kenya – 7 February 2019 – Terumo BCT, a global leader in blood component, therapeutic apheresis and cell therapy technologies, has expanded its footprint into sub-Saharan Africa. The company’s regional office in Nairobi will support better general healthcare by advocating for access to an adequate, safe and sustainable blood supply. The company will provide training and education to transfusion medicine professionals, innovative technologies to maximize blood donations and improve treatment options, and a local support infrastructure to build sustainable solutions in the region. 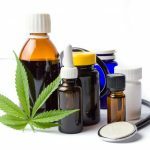 The World Health Organization (WHO) states that the amount of blood required to sustain an adequate level of health should be 10 units per 1,000 people or 1 percent of the population. This means a country with Kenya’s population size would require approximately 450,000 units of blood to be collected annually. Last year, the Kenya National Blood Transfusion Service (KNBTS) collected a total of 164,275 units of blood, about 91 percent of the annual target of 180,000 units. Every 10 minutes, about seven Kenyans need blood and are at risk of dying if it is not available, according to KNBTS. For Kenya to claim blood sufficiency, it needs at least 1 percent of the 45 million Kenyans to donate blood annually to equate 450,000 units of blood. Together with stakeholders such as the KNBTS, Terumo BCT aims to address this shortage with the deployment of a donor management and retention program. The intent is to encourage first-time donors to transition to regular voluntary non-remunerated blood donations and establish a stable donor pool. 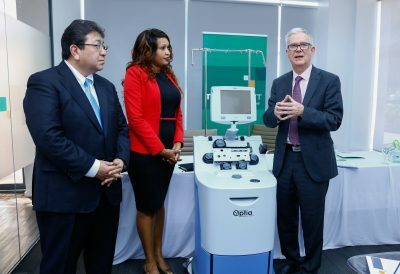 Focused on Improving Healthcare “The decision to establish a presence in Nairobi is fueled by our mission to Contribute to Society through Healthcare,” said Hiroshi Nagumo, Senior Vice President, Blood Center Solutions, Terumo BCT. “Success of healthcare systems can only be achieved through a collaborative and sustainable approach. Opening an . . .
Paris, November 20, 2018 – JCDecaux S.A. (Euronext Paris: DEC), the number one outdoor advertising company worldwide, has entered the Nigerian market in partnership with Grace Lake Partners (GLP), an indigenous investment and advisory firm based in Lagos, Nigeria, with a philosophy of creating shared value. JCDecaux will operate in the outdoor advertising industry in Nigeria through an exclusive partnership and licensee agreement between JCDecaux and Horizon Outdoor Advertising Limited, a wholly Nigerian owned subsidiary of GLP (Horizon is Advertising Practitioners Council of Nigeria “APCON” certified and a member of the prestigious Outdoor Advertising Association of Nigeria “OAAN”). The partnership (“JCDecaux Grace Lake”) has commenced work installing four city-wide public service programmes, all at no cost to the citizens of Lagos. The programmes cover the installation, operation and maintenance of: • A Traffic Information System (“LATIS”): a network of 94 sq.m. digital traffic arches designed by Marc Aurèle providing real-time traffic information to commuters at strategic driving decision points across Lagos; • A high-quality advertising street furniture programme: a network of advertising bus shelters designed by Lord Norman Foster, which have solar-powered roof panels and are 100% energy self-sufficient; • A self-cleaning automatic public toilets programme, designed by Patrick Jouin, located at the city's busiest bus stations and free to use for Lagosians. • A network of 92 sq.m. billboards for the stations under construction of the upcoming Lagos cable car system (LCCT), which will link the key hubs of the economic capital (Lagos Island, Mainland and Victoria Island). This partnership gives JCDecaux a foothold in Nigeria, the largest economy of the continent, with GDP of over €332 billion in 2017 and the most highly populated country in Africa, with 190 million people (a population which will double in the next 30 years). The partnership will . . .
14 AUGUST, 2018. 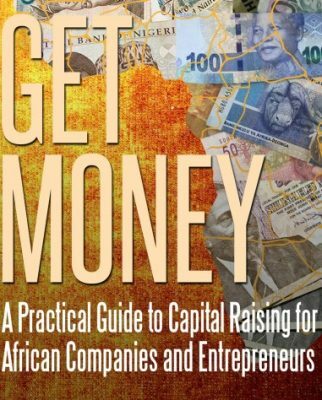 Johannesburg, South Africa – MNCapital Africa Advisors (MNCAA) Managing Partner Mansur Nuruddin has authored a new book entitled: “Get Money: A Practical Guide to Capital Raising for African Companies and Entrepreneurs”. This book codifies the author’s last seven years on the front-lines in Africa assisting African companies and entrepreneurs in raising capital. As the Managing Partner of MNCapital Africa Advisors (MNCAA), the author has helped African companies and entrepreneurs raise hundreds of millions of dollars. From a hydro-power plant in the Democratic Republic of the Congo to a leasing company in South Africa to a dairy processing plant in Zimbabwe to relatively large banks in Nigeria and Ghana, MNCAA has assisted a wide-array of companies in a multitude of industries raise capital in some of the most difficult jurisdictions on the African Continent. Based on this experience, this guide (1) outlines the types of financing available to African entrepreneurs and explains where and when these types of capital may be accessible, (2) outlines the process for raising capital – including a discussion of the documentation required and suggestions for drafting this documentation and (3) provides a brief discussion on Term Sheets (including a sample Term Sheet) and some advice on negotiating Term Sheets. This guide also lists six tips to assist African entrepreneurs in the capital raising process. This guide ends with a case study of a successful capital raise, which reinforces the importance of and demonstrates many of the tips listed herein. Finally, the Appendices include several on-going funding briefs outlining funding available from funding sources with which MNCAA works. Purchase Options: Paperback: https://www.amazon.com/dp/1720902313?ref_=pe_870760_150889320 Kindle Version. 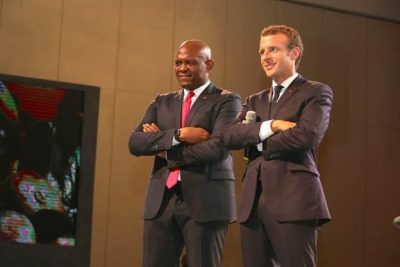 MNCapital Africa Advisors (MNCAA) is an African focused financial advisory firm offering corporate advisory, capital raising and market entry services. . . .
LAGOS, NIGERIA, 4 July 2018 – French President Emmanuel Macron offered a bold and new vision of France’s relationship with Africa, speaking at an exclusive session hosted by the Tony Elumelu Foundation in Lagos today. He passionately advocated a new partnership, prioritizing the role of entrepreneurship in driving Africa’s renaissance, highlighting the importance of the private sector and most importantly saying Africa’s future was and should be in Africa’s hands. Macron spoke at a vibrant, no-holds barred interactive session, in front of nearly 2,000 alumni of the Tony Elumelu Foundation, who sought advice from the youthful President on how to grow their businesses, reach European markets amidst rising nationalism and emerging trade wars and the secrets of his political success. Macron’s experience as an outsider, who transformed French politics and spoke directly to and not at the audience, electrified the room. “To young African entrepreneurs: never listen to people who are telling you to wait,” Macron said. “If you believe in your projects: just do it. Our role is to help the new generation to seize opportunities and rise to the challenge. This is what underpins a new, balanced relationship.” TEF Founder and Chairman of Heirs Holdings and United Bank for Africa (UBA), Tony O. Elumelu, CON moderated the event and opened by acknowledging the importance of the occasion for African entrepreneurship: "The French President recognises the critical importance of African entrepreneurs to sustainable economic development on the continent – he knows the African narrative is changing and will change. His voice is refreshing and welcome” he said. “We want France and the rest of the world to realise that Africa is a continent of opportunities.” The two leaders stood side-by-side, surrounded by emerging and established business women and men from across Africa, during an exciting and at times charged session. Concluding the event, TEF signed an agreement with the . 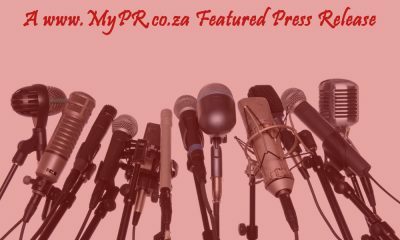 . .
PDT wins Hypervsn™ partner status and rights to bring 3D holographic technology to South Africa. [Johannesburg, 04 July 2018] – Hypervsn™ (by Kino-mo) is a cutting-edge visual solution for creating, managing and displaying unique 3D video content with holographic effect. “Hypervsn™ is a cutting-edge visual solution for creating, managing and displaying unique 3D video content,” says Cornel van Lingen, PDT CEO. “We are always looking at new technologies and solutions that deliver that “wow” factor in terms of campaign capabilities, usability and practical applications. Partnering with Kino-mo is a logical (and exciting) step forward, helping us deliver on our brand promise to support client ambitions through cutting-edge innovations.” About Kino-mo’s Hypervsn™ solution Kino-mo is an award-winning British company developing hi-tech visual solutions. The company is backed by Sir Richard Branson and Mark Cuban, with its Hypervsn™ solution receiving an array of awards including Top 3 British Innovations of the Year. Over and above the obvious benefits to businesses in the retail and entertainment industries, Kino-mo’s Hypervsn™ technology offers practical applications for Education, Healthcare, Manufacturing, and Automotive industries. The company was named among World’s 10 Most Impressive Technologies by Mashable and USA Today. PDTs Partner Status In order to qualify as a Hypervsn™ partner, PDT had to provide evidence of proven ability to deliver on a host of technical and operational competencies. 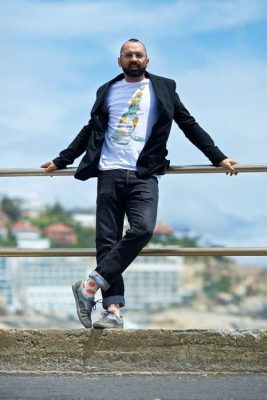 “Kino-mo is strongly committed to launch Hypervsn™ technology and grow its footprint in South Africa,” says Kino-mo Co-founder, Art Stavenka. “We are thrilled that PDT will be bringing their profound experience and leadership to our global partnership network.” Commenting on the partnership, PDT Hypervsn™ Product Owner, John Paul Higgins said; “Over our 15 plus years’ existence we have seen many technologies come and go, we believe Kino-mo is . . .
Help your customers understand why workplace noise affects productivity and profitability. And how they can fix it. Today, work happens everywhere — in busy open-plan offices and contact centers, at home, even coffee shops. This flexibility is great for business and people, but with it comes a new challenge: noise. Distraction caused by noise reduces productivity and well-being and, in contact centers, detracts from a positive customer experience. Studies show that it takes 23 minutes to recover from distraction, and over 58% of employees are distracted multiple times each day. That represents a significant impact on your customers’ businesses you can easily help avert through proven noise reduction strategies and products. Plantronics engineers solutions that help people manage the noise around them so they can be more effective — no matter where they work. Together, we can help your customers reduce distractions caused by noise so their businesses can thrive. 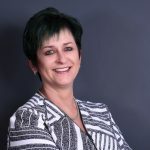 Plantronics in South Africa offers several solutions for managing noise. This week we focus on the Voyager 6200 UC, a Bluetooth® neckband headset with earbuds that offers professional-grade audio and versatility. On any given day, you might need to collaborate with colleagues remotely, field calls from customers or listen to music to help you focus on your latest project. Now there’s a headset that’s flexible enough to meet the demands of your role inside the office and out. Voyager 6200 UC offers everything you’d expect from Plantronics — active-noise canceling, clear voice transmission and premium audio — in a versatile Bluetooth® neckband headset with earbuds. 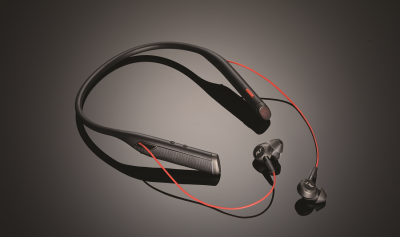 Intuitive controls make it easy to use, and the neckband vibrates to signal an incoming call. Voyager 6200 UC is so comfortable and low-profile that you can use it all day long, in the office and on the go. IT Managers The professionals in your organization have different roles, responsibilities and work styles, so why offer them . . .
Johannesburg, June, 6, 2018 Scott Ambler and Mark Lines talk business agility in South Africa in July IndigoCube will once more host the internationally renowned and locally popular Scott Ambler and Mark Lines, creators of the Disciplined Agile Framework, but this time with a principally business focus for the first Business Agility Conference hosted in South Africa. 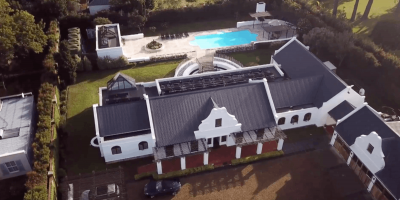 The duo will host a conference and present workshops for a week in July aimed chiefly at business people rather than IT people. “The conference is about business agility,” says Jaco Viljoen, the principal consultant and head of digital at IndigoCube. “It’s agile for the whole business, not just IT, so it’s for business people curious about modern practices for the digital enterprise and how that affects all divisions from HR to finance, marketing and the rest.” Scott Ambler, the Senior Consulting Partner of Scott Ambler + Associates, is also the founder of the Agile Modeling (AM), Agile Data (AD), and Enterprise Unified Process (EUP) methodologies and the founding Member of the Disciplined Agile Consortium (DAC). 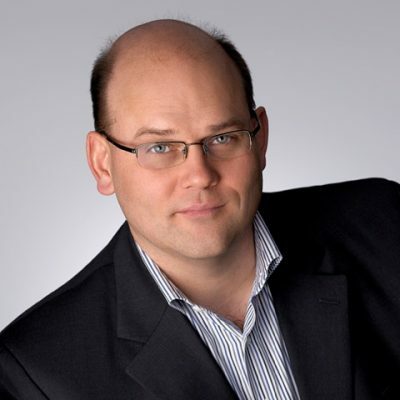 Mark Lines is Managing Partner of Scott Ambler + Associates, coach and co-author, with Scott Ambler, of “Disciplined Agile Delivery: A Practitioner’s Guide to Agile Software Delivery in the Enterprise”, which details their approach to DAD. “Scott and Mark compare this to a racing car,” he says. “IT is the engine but businesspeople put the agile, high performance engines into tractors and make them plough fields. Similarly, IT operations must become suitable high performance engines for the racing car chassis and drivetrain. Both must work together to be competitive in this extremely demanding world.” The two internationally renowned Canadians will be the main attraction at the conference on July 17, from 09:00 to 13:00 held in-conjunction with IBM at the Fairlawns Boutique Hotel. IndigoCube will provide training on Disciplined Agile (DAD) in conjunction with Scott . . .